La Merveille is English owned with staff who speak English and French. Our main business is bed and breakfast but the house can comfortably sleep 18 guests so it may sometimes be possible for small groups to book the whole house during the quieter months - for example, .Christmas and the New Year. We have two large family rooms, 2 double and 1 twin room available for bed and breakfast. The main lounge has table football, a bar and dining facilities. A large garden provides a safe environment for children with swimming pool, barbecue area, trampolines and petanque piste. There is also ample parking space. La Merveille offers a continental breakfast with an optional relaxed evening meal or barbecue. There is also a 20% discount available for travellers on Brittany Ferries. 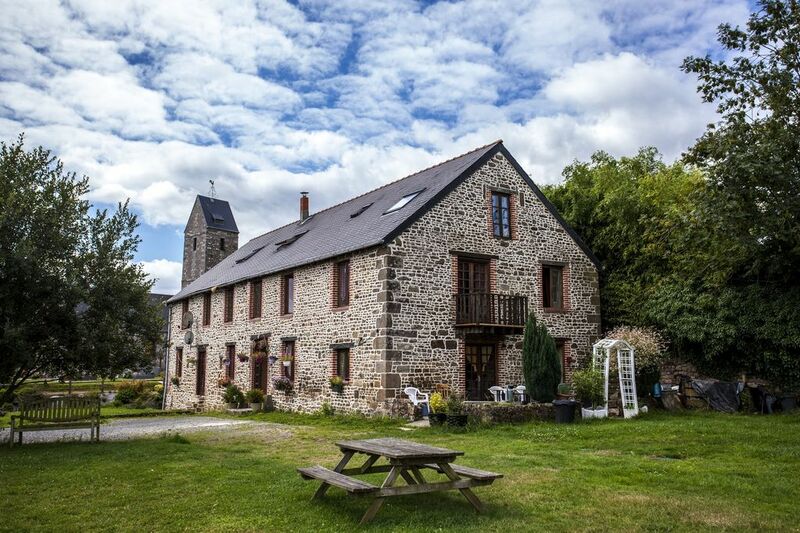 La Merveille is a peaceful retreat - home from home in the heart of Normandy, a few kilometres north of Avranches. The house is ideally located to explore all parts of Normandy. It is just 30 minutes drive to Mont St Michel and the huge American War Cemetery at St James. To the north it takes just over an hour to reach the Landing beaches on the Normandy coast. A short drive from La Merveille are the excellent sandy beaches of Carolles and Jullouville. Notes on accommodation: Main business is bed and breakfast but some self catering groups may be possible All linen is provided and the property cleaned each day. Outside: The swimming pool is 655cms by 595cms and ideal for children. There are now two trampolines, a petanque piste and BBQ facilities. Ce fut un plaisir de vous accueillir, vous et votre merveilleuse famille. Tout le monde a été très reconnaissant et la maison a été laissée dans un état impeccable. Nous espérons vraiment que vous nous rendrez visite un jour. La Merveille is just 20 minutes from the beach. The excellent sandy beaches of Carolles and Jullouville are especially popular but remain uncrowded even during the busy summer season. La Merveille is about 70 minutes south of Caen and 85 minutes from Cherbourg. Saint Malo is about 45 minutes drive. The nearest airpost at Dinan is also about 45 minutes away. Numerous leisure activities just a short drive from the house. There is a first class country zoo; opportunities to go horse riding; race tracks to visit; golf courses and a wide range of historic buildings and sites of natural beauty. Booking Notes: Please enquire. Changeover Day: Please enquire. Notes on prices: Rooms can be booked individually: Double and Twin Rooms - 50 Euros per night including breakfasts. Family Rooms - 90 Euros per night including breakfasts. The whole house can be booked - rates are available from our website or through email.